So begins the book “All About Bull Terriers and Miniature Bull Terriers” by breeder/judge Marilyn Drewes. Wanting to learn more about this unique, almost ugly, breed, I found this book most enlightening. 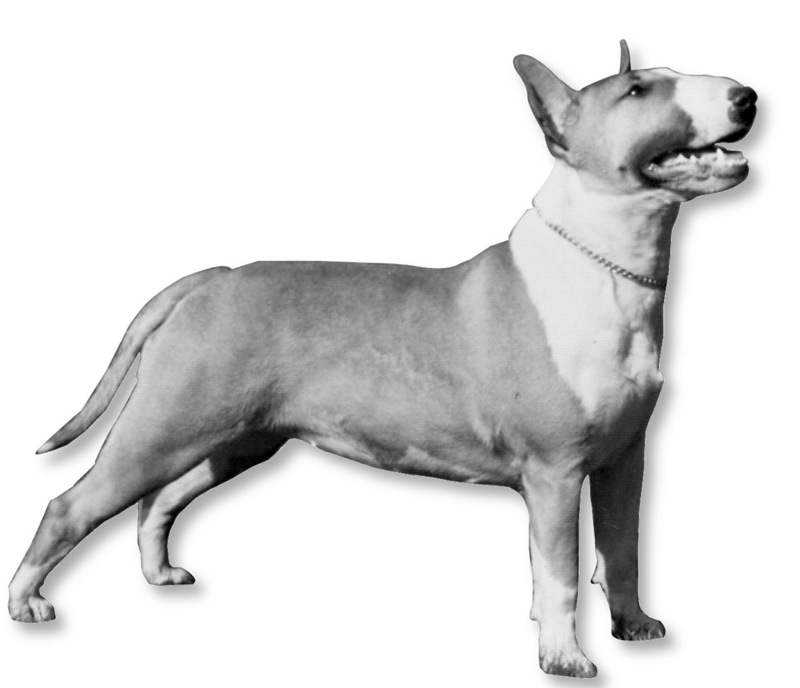 Did you know there are no size restrictions for Bull Terriers, except that Mini Bulls should not exceed 14 inches at the shoulder? They come in all white plus a variety of other colors, from brindle to red, silver to pale fawn, and tricolor (black and tan with white). They love to be with people, and almost all are lapdogs, even when they reach fifty or sixty pounds! They thrive on love, attention, and praise, and if you don’t have time to spend with them and the energy and affection to give them, you really shouldn’t own this breed. Most Bull Terriers will wear you out playing with balls or toys, and you can lift him right off the ground with it once he gets a good grip. Bull Terriers are humorous, comical, fun loving. Some make a peculiar rumbling sound and puff out their lips. This is not growling, although it can be mistaken for a growl by someone unfamiliar with the breed. They often roll their eyes to look at you sideways without turning their head. Another behavior peculiar to Bull Terriers is the “bully run.” This consists of mindless racing about full tilt in wide circles, leaping onto objects or tackling their owner from behind and sending them spraling. Outdoor runs may be brought on simply from the joy of being alive; perhaps the indoor variety results from boredom. 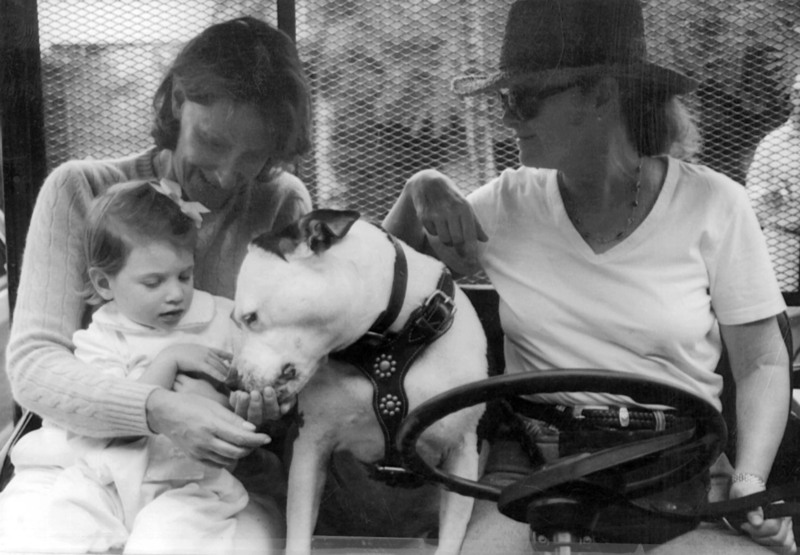 Whatever the cause, don’t try to stop the Bull Terrier—just keep out of his way. Another weird behavior is “trancing.” The dog appears to go into a trance-like state, usually with his head and back under something like a bush, a chair, etc. He may stand still or move very, very slowly for several minutes before returning to normal. Trancing is not real common, but most owners have experienced it at least a time or two. Many bull terriers sleep on their backs with all four feet in the air. Some like to chase their tails. For a few it becomes compulsive, called spinning, where they chase it so fast they spin in a circle and don’t want to stop. This sometimes results from boredom or excessive crating, and should be discouraged. The most likely cause of temperament problems in the Bull Terrier, such as shyness, dominance, or aggression to other animals is caused by mismanagement as a puppy or young adult. Bullies are sensitive, and harsh corrections can turn a tail-wagging extrovert into a cowed fear-biter. You cannot shut a Bull Terrier away in the basement, chain him in the backyard, or confine him in an outdoor kennel 24 hours a day without adversely affecting his disposition. These dogs thrive on love, attention, and praise, which are just as important to their mental development as correct nutrition and proper physical development. On a canine I.Q. scale, most Bull Terriers would rate “superior.” When they are played with, taken for walks, auto trips, and other excursions to interesting places, and treated like a member of the family, they will amaze you with how much they understand. When they act somewhat dull-witted, it is more likely that the Bullie understands what you want but simply prefers not to do it! 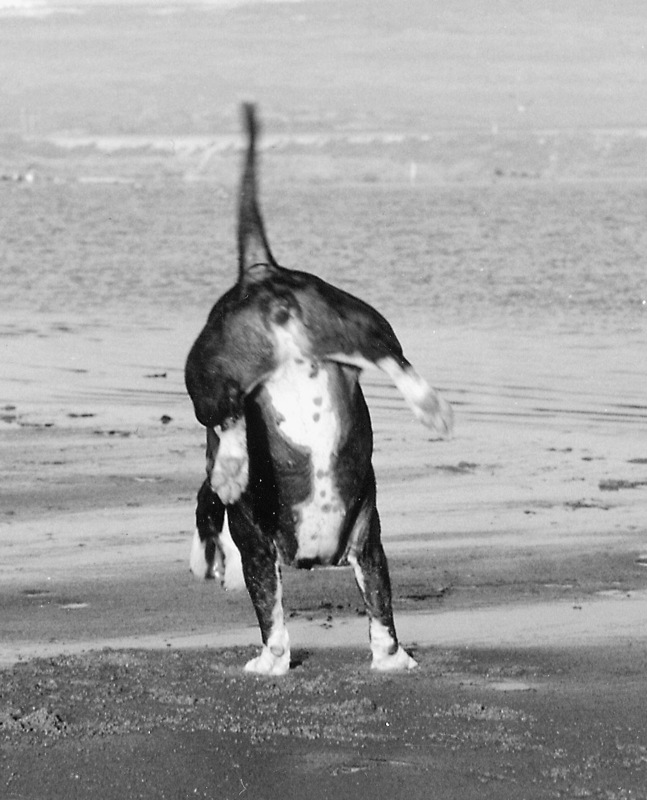 Bull terriers are often stubborn—they are seldom stupid. Many accounts are on record where a Bull Terrier recognized a dangerous situation in time to rescue a person from disaster. And, if you are around a group of Bullie owners, you will undoubtedly hear many accounts of the clever things their dogs have done. 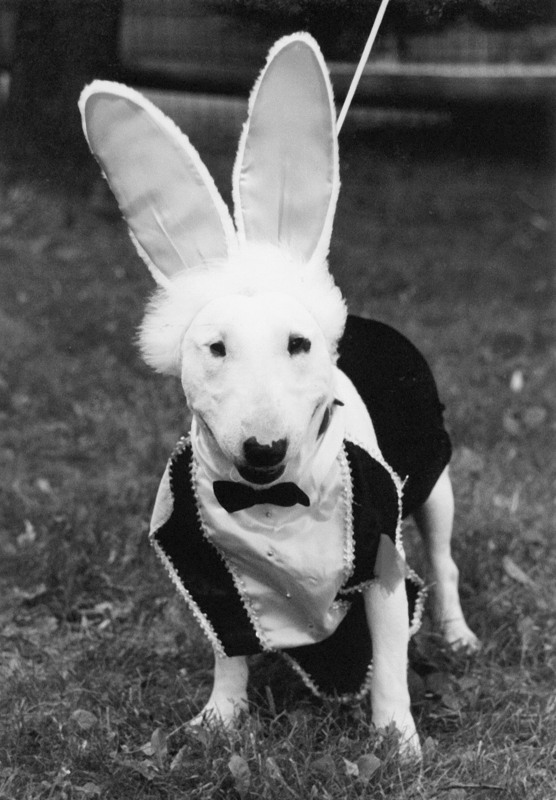 Bullies and their owners like to have fun, and the dogs often parade in costume, entertain children or nursing home residents, etc., with their dress up routines, tricks, and shenanigans. 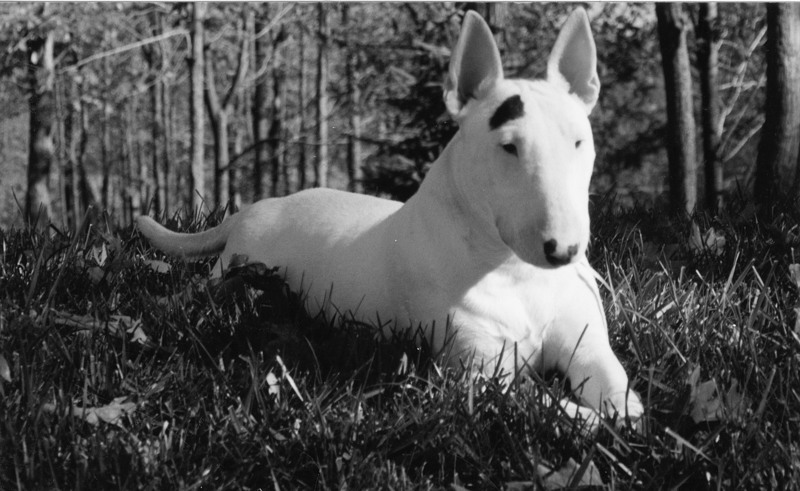 If you want to learn more about this very unique breed, I highly recommend the inexpensive but extremely informative book All About the Bull Terrier and Minature Bull Terrier by Marilyn Drewes and available from Alpine Publications. This entry was posted in Breeds of Dogs, Bull Terriers and tagged bull terrier breeds, bull terrier characteristics, bull terrier intelligence, bull terrier trance, bull terriers, bully run, humorous dog breeds, pit bull terriers, pit bulls. Bookmark the permalink.